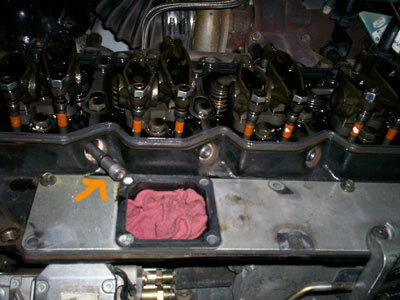 Remove the first 3 valve cover bolts. Leave last two bolts tight (closest to cab) to make fuel line removal easier. 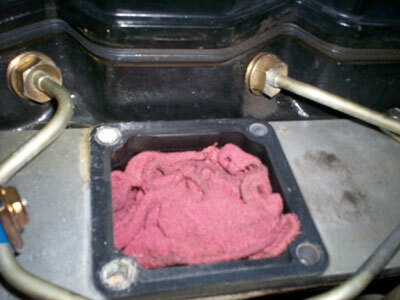 Insert a clean rag into heater grid hole to keep from dropping anything into the hole as well as keep it clean. To remove fuel lines 1,2 and 4 unbolt all fuel line holding brackets. 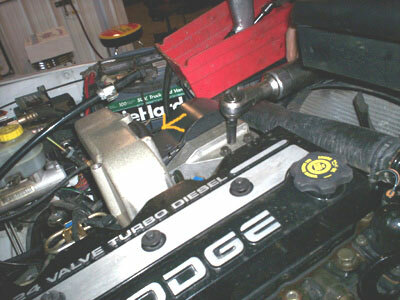 Unplug the fuel injection pump to make removing lines 1,2 and 4 easier. To remove 3,5 and 6 unbolt engine lifting bracket, then remove lines. 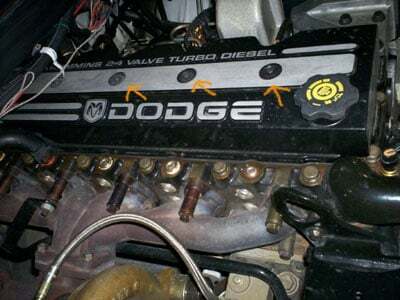 Now remove the 4th valve cover bolt. Then loosen the 5th bolt - it will not come out. 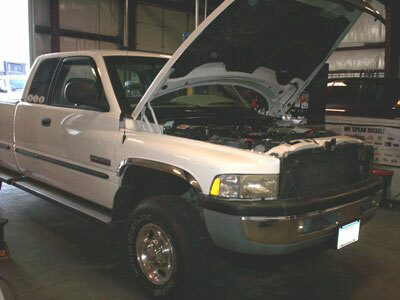 Lift up on the 5th bolt and rotate valve cover gently to the drivers side. 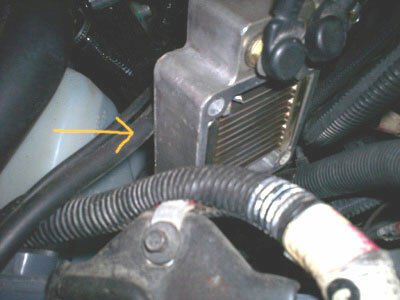 Going to the drivers side will help you avoid damaging the heater hose. Remove pencil tubes (6 total). Always remove the pencil tubes from the outer edge and the inner edge in the edge filter and must not be damaged. Replace any pitted or rusted pencil tubes. 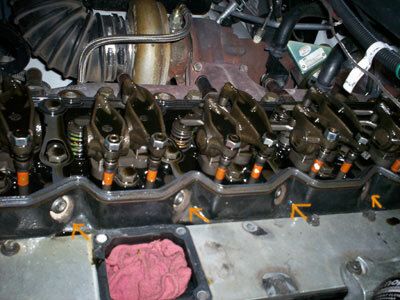 Use a clean container to keep your injector hold down bolts, hold downs and injectors in. Keep these parts clean and avoid contamination. Be clean from this point on!! 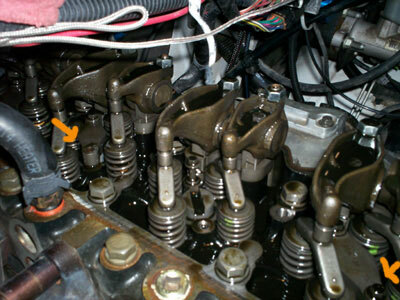 Remove outer bolts on the injector hold downs. 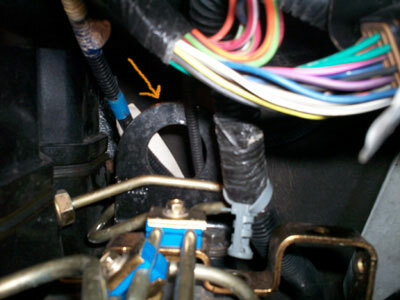 DO NOT remove inner bolts as they are shouldered and the hold downs come out without removing these. Do not remove rocker arms as it is not necessary and only increases risk of dropping contaminants into engine <-- very bad!! 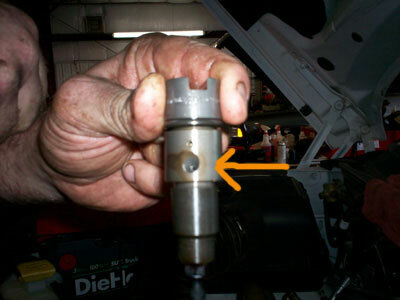 To remove the injector use an injector removal tool or an 8 x 1.50 mm bolt. Screw the bolt into injector top gently. 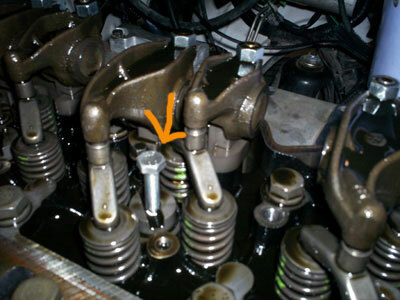 Use a pry bar to gently apply upward force on the bolt until the injector "pops" out. 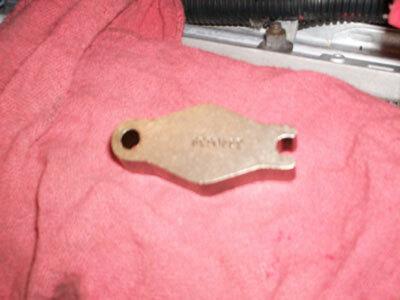 Make sure your copper washer is still on the injector when you pull it out. To install your new injectors, lube the o-rings on the new 24 Valve Cummins injectors. Also make sure the new copper washers are the correct thickness for your application. Make sure the injector hole faces the opening for the pencil tubes (toward the untouched injector bolt) when you place them back in. 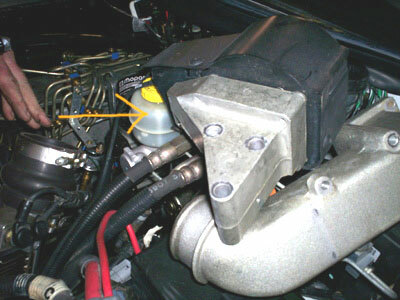 Push injector down until it "pops" into place. Torque the hold down bolts to 89 inch lbs.